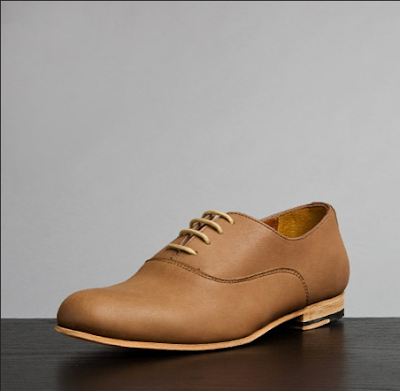 I’ve been on the search for the perfect pair of light brown oxfords for some time. I finally came across this beautiful pair by Rachel Comey. I love the color, the simplicity and the shape. Too bad they are all sold out! In other exciting Rachel Comey news, she has an exclusive collaboration with Urban Outfitters called Contributor. 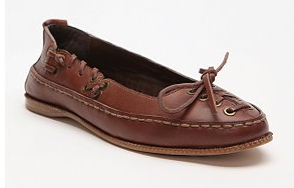 A little less chic, but much more affordable, these moccasins are kinda cute. You must have tiny feet…I can't see either of those on my "canal boats" (as my loving father used to call them). Ha. The first pair looks nice, especially if the leather is softer–not like the men's version. I've had a very hard time finding brown shoes I like too, by the way. Erin P – Are you part sasquatch, like me? I have freakishly large feet. I'm serious. They are FREAKISHLY large. I wear a 10 1/2- 11WW. The only thing these bricks are good for are unintentionally tripping unwitting passersby, and making it damn near impossible to find footwear in any way, shape or form. The last time I purchased real shoes (by which I mean NOT Men's footwear) for myself was for my wedding 3 years ago, when I had to resort to wearing New Balance slip on sneakers underneath my dress because the TWO pairs of low heels I had ordered in my size from the dress shop and Zappos.com didn't fit. I'd probably consider a career in wine making if they still did it the old fashioned way. If Lucy could do it, why not me? I don't really like the first pair. They look like men's shoes but what do I know about fashion?